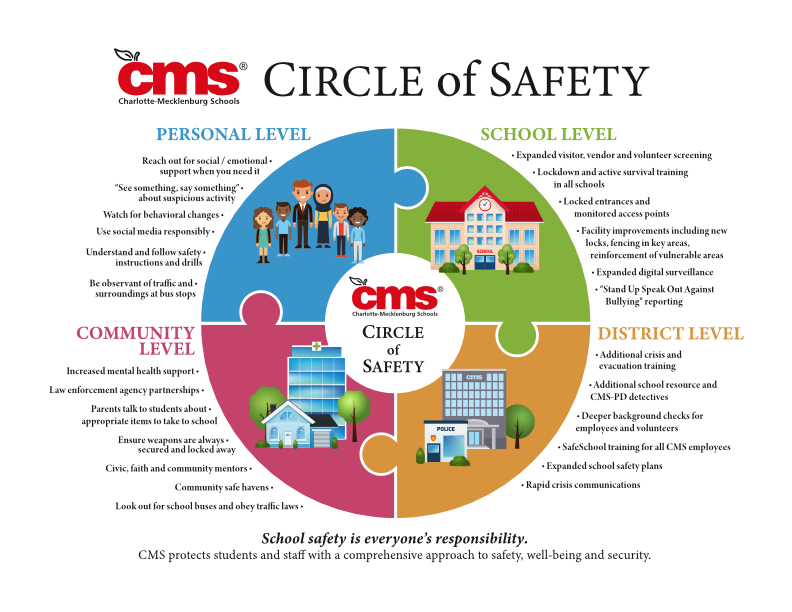 On November 16, 2018 Charlotte-Mecklenburg Schools (CMS) announced that additional measures would be taken to help keep students and staff safe in schools. Safety screenings have been added to these measures as a deterrent and precautionary step. CMS will soon begin these safety screenings, starting with high schools. No middle schools or elementary schools will participate in safety screenings at this time. Our goals are to keep weapons out of schools and to minimize class time disruption and distractions from teaching and learning during screenings. No-touch outline wanding and metal detectors may be used; bags will be visually inspected. Safety screenings will be much like screenings at football games and other public events.